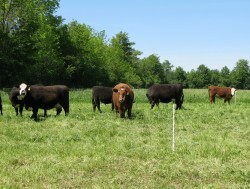 For most beef cattle farmers who are managing their pastures in a rotational grazing system two of the biggest spring challenges are the flush of rapid growth that will occur and selective grazing. OSU Wayne Co. extension educator Rory Lewandowski reviews some basic plant growth biology and grazing principles that may suggest some management strategies. Click here for the full article.